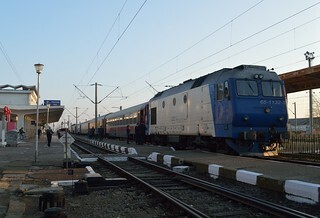 65.1132 at Tecuci on train IR1663, 12:00 București Nord to Iași. Services reverse here and change over to diesel traction. Date taken = 4 November 2014.